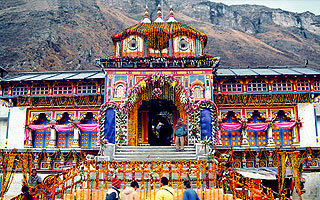 Char Dham Yatra is a Yatra which is related to the sentiments, religious faith and beliefs of the India people. The Yatra has been fascinating the world with its places which are so rich with the saga and glory they holds. Nothing could be better than starting the Char Dham yatra from Haridwar. Haridwar is religous town with a unique speciality and imporance and is the starting point from where the Yatra takes its first step to Himalya Mountain roads. Our representative will meet and greet you at Haridwar Railway station and introduce you with the driver. Transfer to hotel and check in. After freshen up proceeds for taking the divine dip in the holy water of Maa Ganga at Har Ki Pauri. Have bath and proceeds for Darshan of Maa Mansa Devi Temple. Evening filling your hearts with devotion participate in the Maa Ganga Aarti. Overnight stay at hotel in Haridwar. Morning after breakfast drive to Barkot via Mussoorie. Beauty of the route will amaze you. Mussoorie is a beautiful hill station in Himalya. Continuing your drive to Barkot, enroute you will stop at Lakha Mandal group of Temples visit. This morning wake up early and start to Hanuman Chatti (Drive 40 Kms) Janki Chatti (08 Kms). From here start your 5 kms one way trek to Yamnotri. First glimpse of the temple is one of its kind, have darshan of Maa Yamuna at Temple along with Surya Kund, Gauri Kund nearby. After darshan trek back to Hanuman Chatti and from here drive back to Barkot for your stay. Morning after having your breakfast drive to Uttarkashi Via Dharasu, on arrival check into the hotel. Today is the day of Darshan Maa Gangotri, a pleasent drive with marvellous views of Himalya via Harsil will take you to Maa Gangotri Temple. 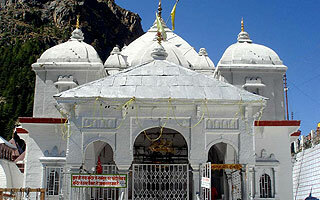 Have Darshan of Maa Gangotri Temple, Take a dip in the holy water and drive back to Uttarkashi. Early morning start for your next drive to Guptakashi/Sitapur. This drive will be bit long and hence there will be short breaks for freshen up. On arrival check into the hotel. Morning get up, after freshen up and breakfast drie to gaurikund. 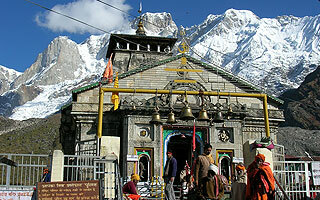 From here your 14 kms trek to Shri Kedarnath Ji starts. One can hire pony or doly for the Yatra by paying them directly. On arrival check into the government allotted camps. The camps would be having basic facilities and sharing. As after disaster the stay is operated by government. 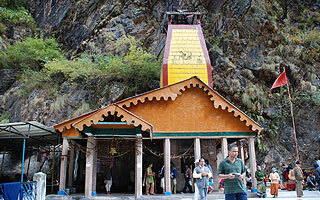 After freshen up proceeds for Darshan of Shri Kedarnath Temple and shrines nearby to the temple. Morning again after having Darshan of Shri Kedarnath ji Temple, starts you trek down and drive to Sitapur/Guptakashi. Have rest for the day to relax and overcome the fatigue. Morning after breakfast drive to Badrinath via Pipalkoti and Joshimath. On arrival check into the hotel. After freshen up proceeds for the darshan of Shri Badrinath ji Temple and places around like Mana Village, Bhim Pul and Vyas Gufa. Morning again purifying you proceeds for the Darshan of Shri Laxmi Narayan who is in form of Shri Badrinarayan at Badrinath Dham. After darshan start your drive to Rudraprayag/Srinagar. Morning after breakfast drive to Haridwar, on the way visit Malaitha, stop over at Devprayag Sangam & Rishikesh. Visit Ram Jhula, Laxman Jhula and Swargashram in Rishikesh. After visit drive to Haridwar and transfer to Railway station. May the almighty bless you and fulfil all your dreams, Hari Om!!! Hotel rooms are subject to availability at the time of booking. In case of non availability of the offered hotels we will book similar other hotel. The same will be updated to you. Check in and Checkout time at most of the hotels is from 12 noon to 10 in the morning. Early check in is subject to charge. At hotels in Chardham sector there may won’t be lift. Meals will be on fixed menu basis and pure veg. For any specific food item guest can order and ask on direct payment basis. For Triple rooms depending upon policy of hotel some hotels provide proper extra bed and some extra metres for the third person. Hence please advise before booking if you would have any specific requirements. Your Tour will be completely exclusive, you may ask for modification in the itinerary before confirming the tour as according to your requirement and number of days you will have. Your sightseeing will be conducted as according to the offered itinerary. Any extra run of car for sightseeing other than mentioned in the itinerary and beyond the city limits will attract the supplement cost. Package is based on offered car in the inclusions section. You may also upgrade the vehicle as according to your interest. Any portage at Railway Station and hotels, tips, medical and travel insurance, mineral water, telephone charges, and all items of personal nature. Your emails will be the part of your booking and hence kindly read your mailer conversations properly. Ignorance may miss some useful information or point that to be noticed for the tour. You are advised to carry only the necessary things with you. Avoid bringing ornaments etc. with you. Take proper care and check yours belonging before leaving your car, hotel etc. We shall not be liable for any loss. Please make a double check of your Photo ID Proof before final packing up for the Tour. As per government instructions travelers must carry their Photo Identity Proof and 02 passport size copies along with them. Students can carry their Identity card and for informants 02 passport size photos are must required. They are also required at the hotels and camps during check in, helipad etc. For the extra 03rd Person some hotels provide proper extra bed and some extra mattress. We request you to please inform us well in advance before booking if you prefer only extra bed. It is advised to go for a medical checkup before commencing the yatra. Don’t forget to keep and bring the necessary prescribed medicines if any. Don’t ignore any pain or symptom of discomfort during the yatra and inform to the representative. Your safety & comfort is our priority. In case of any major vehicle breakdown we will try our best to arrange for another vehicle as soon as possible. For minor problems the vehicle will be repaired in the shortest time. We seek to have your cooperation on this. At hilly areas/parked or stopped vehicle ac will not be operated. Safety of the group is on drivers hand and hence he will not drive on no entry zones or narrow streets and believe not to be forced to do so. Night drives are not recommended and hence not be carried out. Loud music can distract the driver and hence seek to have your support. There will be on pickup and drop points for the tour, in case of split arrival and departure there will a supplement charge for the service. Any hike in the prices of petrol/diesel in India will lead to change in the prices. If the price hike would be more than 6% than the time of booking, increase difference need to be paid. At some destinations market or area may have NO Entry for all or large vehicles depending upon the conditions and situation. In such situation another vehicle will be arranged. In such situation the guests are required to pay directly for the transport. As this cost is not included in the package. Sightseeing will be done as according to the mentioned places in the itinerary. There won’t be any refund or cancellation will be made in any situation that is beyond the control of company like bad weather, landslide, road blocks, snow fall, strike etc. We recommend the guests to get a travel insurance before commencing the tour. As the company won’t be held liable and responsible for any injury/theft/accident/death of a person or damage during the tour. We reserve all the rights to cancel the service that have not been paid full advance by the guests. *Tourism infrastructure at Chardham Sector is developing and one should not expect or compare it with the standards of plains & other developed tourist destinations. *There may be limitation of water and power at some region. 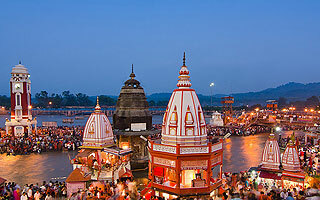 Our representative will be with you through the entire tour, so that you can enjoy a comfortable and memorable yatra. We believe our services, your cooperation and support will turn your tour to a lifetime soothing memory.